It’s always exciting when the weather starts to warm up and flowers begin to bud on the trees! But it can also cause kids to get distracted from their learning as they look forward to summer and a break from school. 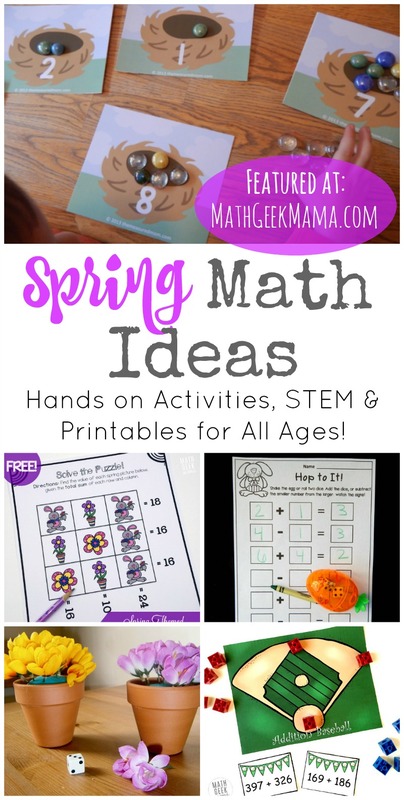 Reel them back in with these fun and engaging spring math ideas! 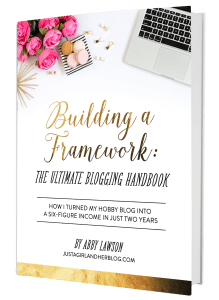 There are so many resources here, from hands on activities and games to STEM to super low prep worksheets, you’re sure to find something your kids will enjoy, no matter their age. Learning about rainbows? Paint addition rainbows to help kids learn the facts to 10. If growing a garden with a child makes you want to run and hide, you might appreciate this list of 8 Easy Plants to Grow With Kids from Crafts on Sea. Print and cut out this cute Chick Themed activity to practice adding doubles. Visit The Imagination Tree to see their Beans and Flowerpots Counting center they created. Nurture Store has a great list of carrot themed activities for your younger child. Working on counting? Natural Beach Living has the printable for you. Ladybug Math for Preschoolers (Free Printables Count & Clip). Follow the instructions from Artsy Craftsy Mom for a cute Umbrella Counting and Sorting Activity. Check out Living Montessori Now to see her Huge list of Spring Themed Math Trays. Free printable counting mats – Count the Eggs from The Measured Mom. What numbers add up to 5? Use this Math Flowers Activity from Miss Kindergarten to visualize this crucial concept. Rainy Day Math Mat Busy Bag from Coffee Cups and Crayons. Practice addition with large number with this simple and fun addition baseball game. Get outside and practice skip counting with this fun skip counting hopscotch idea. A flower is the inspiration behind this Number Sense game from Nurture Store. Follow the instructions from Differentiated Kindergarten to make your own Subtraction Bump game. Includes printable problems. Adapt this Number Bunny Hop game from Frogs and Snails and Puppy Dog Tails to any level. Work on counting or skip counting or solving equations, whatever you are working on right now. Play The Very Hungry Caterpillar Math Game from Wings and Roots. If you have plastic eggs lying around, try out these super simple Easter Egg Matching Games from Room Mom 101. Color the Rainbow with Fruit Loops ~ Addition Math Game from Housing a Forest. 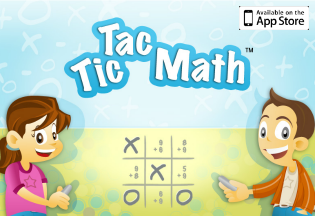 Download Spring Math Games with Dice for a painless way to practice addition and subtraction. A colorful math game for kids to welcome spring from Fun-A-Day. The name says it all. Life Over C’s has a simple printable to practice Spring Counting. Check out Little Bins for Little Hands as they create container gardens. A lot of learning in this activity all surrounding the book The Surprise Garden. Learn about how greenhouses work by creating this Super Simple Greenhouse using the instructions from The Handmade Home. If your plants keep getting eaten by bugs, build a Ladybug Hotel from Only Passionate Curiosity. To make it more of a STEM activity, have your children help design it. You must see to believe Pop Bottle Ecosystem from Layers of Learning. Explore electric circuits by making Circuit Bugs using the instructions from STEAM Powered Family. Do you have plastic eggs laying around the house from Easter? Use these 4 great STEAM activities from The Educators Spin On It. Head over to Schooling a Monkey and download their free Spring Stem Calendar. Spring STEM: Building a Bird’s Nest from STEM Activities for Kids. Once you’ve made your nest, Design a Clay Bird using instructions from Kids STEAM Lab. Learn about how sunshine affects plants in the lesson Sprout Heads & Sunshine from Red Ted Art. Have fun exploring fractions with this simple set of Earth Day Fraction Coloring pages. Print these no prep Spring Themed Logic Puzzles and increase algebraic thinking and problem solving skills. Practice telling time with Time For Spring. Or learn about time along with The Grouchy Ladybug by Eric Carle. Laminate and use this flower themed printable to practice adding using number bonds from Blessedly Busy. 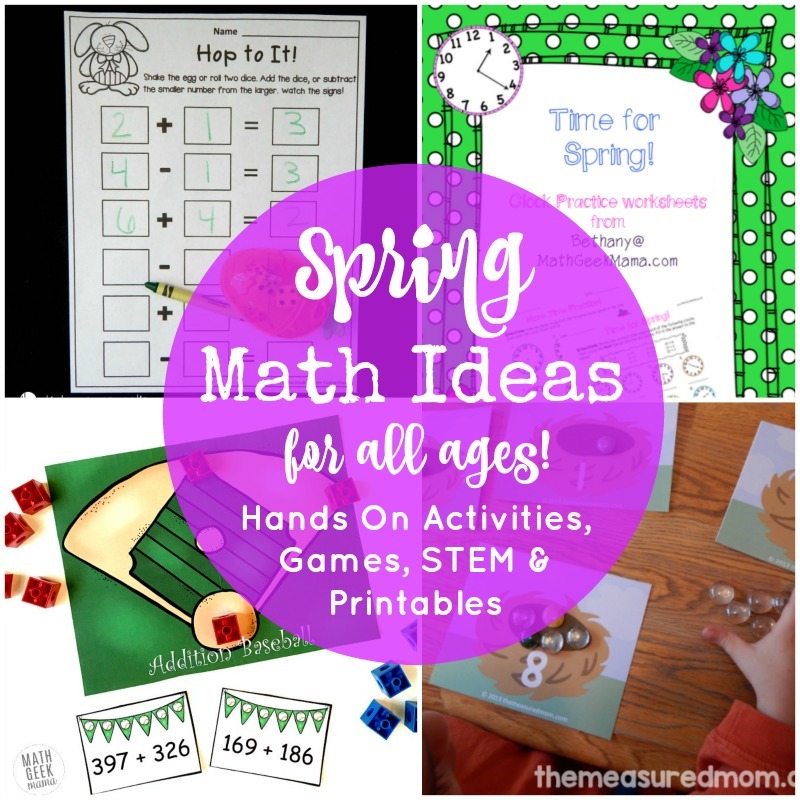 Spring Math Pack from Kids Activity Blog will have your kids practicing addition and subtraction and they might not even care. This Reading Mama has a FREE Spring Pre-K/K Pack that includes math activities. Find more Spring Printables from 3 Dinosaurs. Proverbial Homemaker has a huge Spring Printable Pack. Mama’s Learning Corner has a Down at the Pond themed printable pack to enjoy. With activities like estimating the height of a tree and designing a playground, there are enough activities here to keep your middle school aged child learning and engaged. Play simple games to review integers with this Easter Peeps Card Game. Read Springtime Math from Math Cats Math Chats. Practice squared and cubed exponents with this free printable. Enjoy logic puzzles? Download It’s Spring! Cut & Paste Logic Puzzles Freebie. Practice your graphing skills with this Sun Coordinate Graphing Picture. Download Order of Operations Math Practice Spring Showers Color by Number and practice solving order of operations problems. Another Coloring Activity but this time the focus is distributive property and combining like terms. Do you have peeps lying around. Put them to good use with this Percent of A Number Freebie: Word Problems with Peeps download. Practice multiplying fractions with this Multiplying Fractions Word Problems download. Take advantage of the spring weather and createa homemade weather station from Education Possible. See how far your airplane can go with Paper Airplane Graphing from Our Journey Westward. Review Algebra with this Easter Egg Hunt Integrated Algebra Review Game. 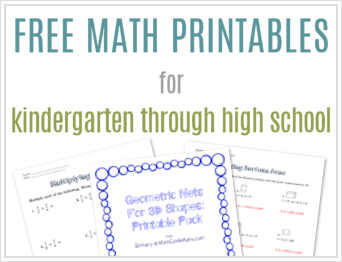 And that’s all for this MEGA list of spring math ideas for elementary and middle school kids! I hope you found lots of fun and engaging ideas! And if the weather is finally warming up for you, be sure to take math outside! There are so many benefits to learning outdoors, including math! Enjoy all these resources and be sure to share your favorites in the comments!